No description of Beast would be complete without a quick history lesson. 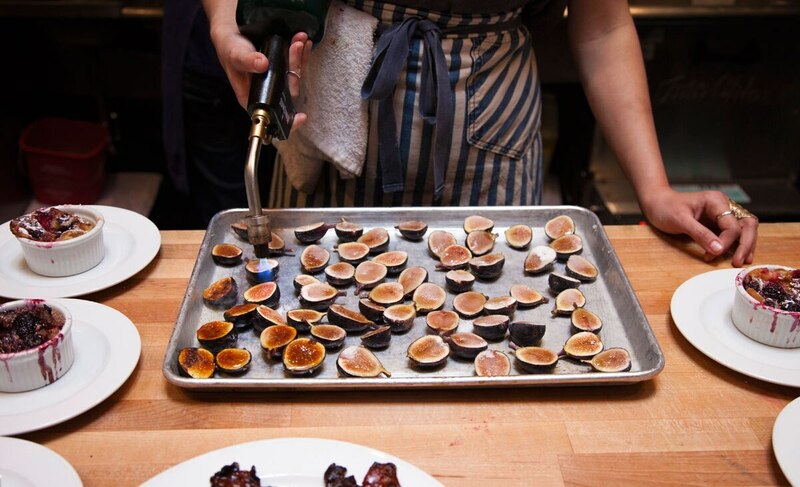 In 1999, chef Naomi Pomeroy and her silver-tongued former spouse founded Ripe, a supper club of dubious legality that initially operated out of their home. Ripe and Pomeroy rocketed to local and eventually national fame; the couple opened more restaurants; then the whole thing crashed and burned. From the ashes, Beast arose Phoenix-like in 2007. An iconic photo of Pomeroy standing seductively in a field, a dispatched hog flung over her shoulder, would become emblematic of her star power and resilience. A James Beard Award, TV food competitions and still greater notoriety followed. Beast and Pomeroy were known for their set menu, communal seating and edgy vibe, with "substitutions politely declined" becoming a trendsetting menu mantra. For years, an open seat was as rare as Portland sunshine in November. Today, the communal seating remains as does a set menu ($125, including gratuity, for six courses, $50 for wine pairings), though the meaty focus of the original has given way to more contemporary tastes and cost considerations. On a recent visit, the beast that appeared tableside tended to be the swimming kind, like a delicate poached sole fillet wrapped around a mousseline of minced scallop and shrimp. Land animals were limited to a beef ragu-filled pasta and a slice of ham in a prosaic cheese course before dessert. There were a few empty chairs, too. Though Beast may have lost its edge, it is still an iconic meal understandably on most newcomers' must-try lists. Pro tip: Unlike a lot of celebrity chefs, Pomeroy still puts in stove time at Beast. Call ahead to make sure she’ll be around when you visit.